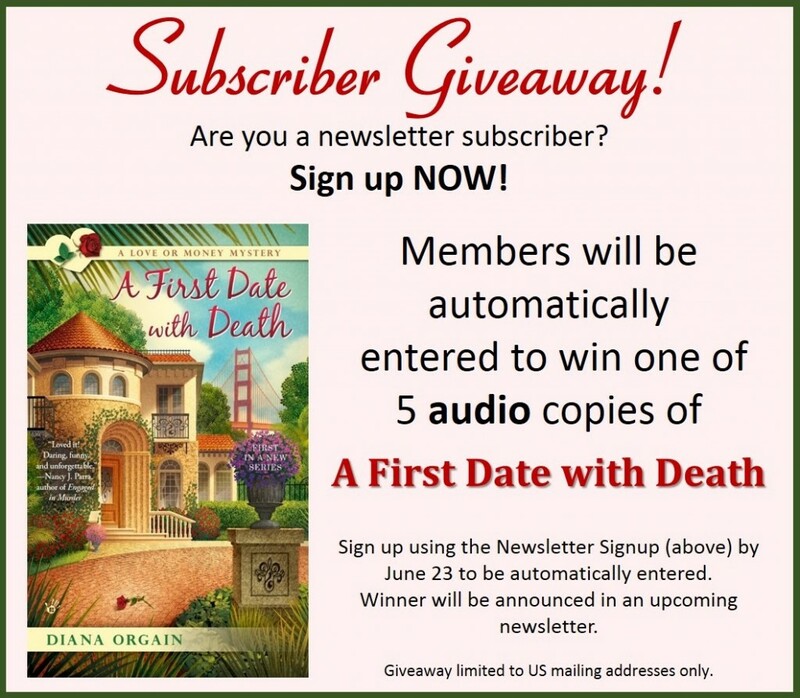 I have audio copies of A FIRST DATE WITH DEATH available for giveaway! Subscribe to my newsletter and automatically be entered. Like my author page and earn a second entry!